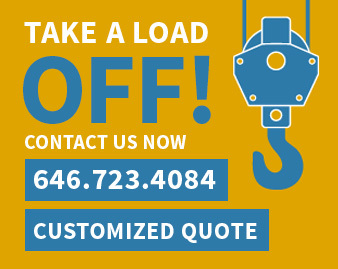 All on-line orders received from NY, NJ, CT, between Monday and Friday prior to 9 AM, are delivered within 24-48 hours. All on line orders received on Saturday and Sunday are delivered on Monday or Tuesday. To all other states, All Around Moving Services arranges shipping services via UPS/Fed-Ex Home Ground Delivery to residential locations and via UPS/Fed-Ex Business Ground Delivery to commercial locations. No deliveries are made to a Post Office Box. Please refer to the map-chart below for delivery schedule. The map and schedule below indicates the number of business days it should take for you to receive your shipment after fulfillment service is completed by All Around Moving and a delivery company is assigned. Note: These delivery times are ESTIMATED and are NOT GUARANTEED. To count shipping days, begin with the day after your order is shipped (exclude weekends and holidays in your count). $15.00 Local Delivery Charge in New York City with $100.00 minimum. $20.00 Local delivery Charge in New Jersey with $125.00 minimum. $10.00 Local delivery Charge in Miami Florida with $75.00 minimum. Your satisfaction is our top priority. If you are not 100% satisfied, you can return any item you purchased from us within 30 days of receipt for a full refund. We will refund 100% of your purchase price; however you are responsible for the cost of shipping on any and all returns.